This vehicle is from our Courtesy Fleet. Our Courtesy vehicles have under 4,000 miles, but can be sold at a reduced cost compared to new, and still qualify for any GM Incentives. Selling price includes GM Rebates. Other rebates available upon qualification. Valid thru 4/30/19. Call us at 440-428-1141 for more information. 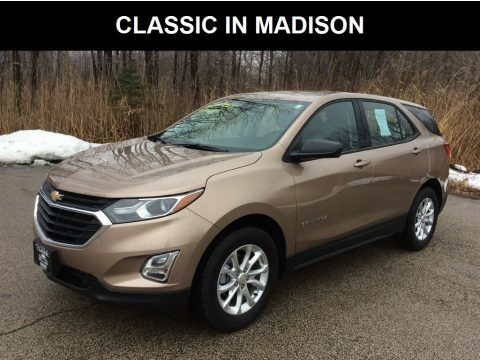 See dealer for details...............................................Why buy from Classic in Madison? We offer a large selection of pre-owned cars, trucks, vans and SUV’s; specializing in Certified Pre-Owned vehicles from General Motors, Chrysler, Dodge, Jeep and Ram.We are located East of Cleveland, we have a professional and knowledgeable Sales Staff, our Management Team is one of the best in Lake County and if you have had credit challenges in the past, give one of our Business Manager’s a call at 440-428-1141, they will be happy to assist you. We look forward to meeting you and earning your business!